The UK economy is suffering from low productivity. This has been weighing heavily on GDP growth since the 2008 financial crisis, with output per worker stagnating at one of the lowest levels of any advanced economy. Raising productivity requires investment in productive enterprise. But UK investment, as a proportion of domestic output, has fallen from about a quarter of GDP in 1990, when it was broadly in line with that of other developed economies, to just over 16 per cent. It is now well below that of most advanced economies. An important factor in this has been the decline in bank loans to business as a proportion of domestic lending, from 31 per cent in 1988 to eight per cent in 2016. Instead lending has been increasingly channelled into unproductive real-estate investment. Lending to business now accounts for only five per cent of UK banking assets, compared with 14 per cent of eurozone banking assets. This is in part driven by the market failure described as the patient capital gap – or finance gap – in which banks fail to meet demand for borrowing from creditworthy small and medium-sized firms because there are easier returns available from alternative investments. In 2015/16, some 19 per cent of SMEs seeking investment were unable to access suitable finance. So while the UK has the highest business start-up rate in Europe and world-leading research, it has performed badly when it comes to growing and developing those businesses. These problems are not unique to either the UK or the current period. Several countries, including the UK in the past, have responded to these issues by establishing national investment institutions, mandated to provide finance to SMEs. In this new publication, Justin Protts examines the record of a selection of these institutions. 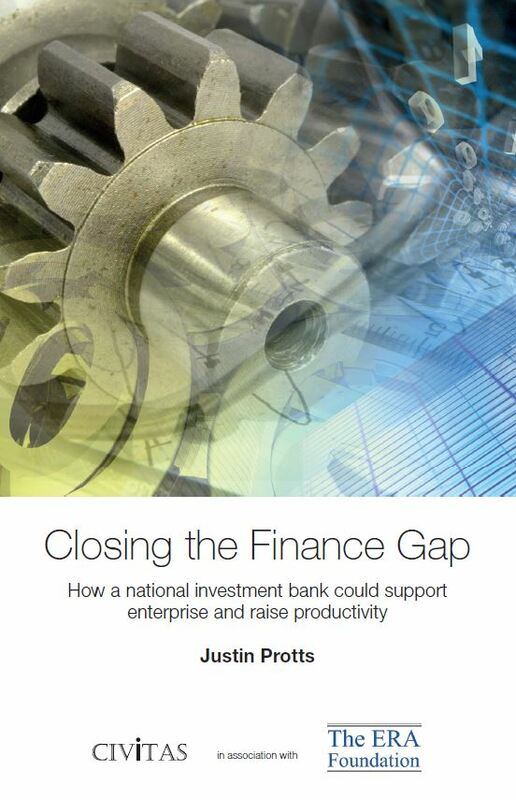 Drawing on their experiences, he sets out how a new national investment bank could be designed and established to tackle the specific challenges the UK faces today.